In eighteen fifty, the United States faced the threat of a split between northern and southern states. The two sides disagreed strongly over the issue of slavery. At that time, owning slaves was legal in the southern states. But the question remained: should slavery be legal in new territories in the western part of the country? The issue needed to be settled. There was a danger of civil war between the North and the South. 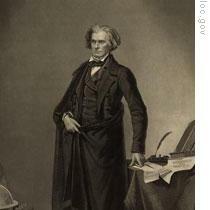 Senator Henry Clay of Kentucky offered a compromise. Conservative southern lawmakers rejected it. Other lawmakers supported it; they believed it was the only way to save the union of states. This week in our series, Warren Scheer and Sarah Long continue our story of the Compromise of Eighteen Fifty. "Secession!" He called out. "Peaceable secession! Your eyes and mine will never see that happen. There can be no such thing as peaceable secession. We live under a great constitution. Is it to be melted away by secession, as the snows of a mountain are melted away under the sun? The dispute about slavery continued in the United States. It would, in time, lead to civil war. 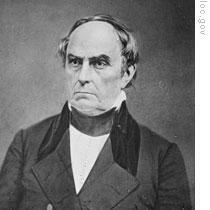 But historians say Webster's support for the compromise of eighteen fifty probably helped delay that crisis. 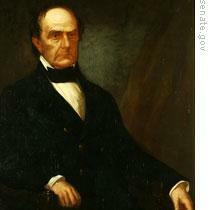 Seward said he opposed any compromise with the South. He said he did not want slavery in the new western territories. And he urged a national policy to start ending slavery everywhere -- peacefully. Many lawmakers seemed to support the idea of Clay's compromise. But they could not agree on which parts of it to pass first. Southern supporters were afraid that if a statehood bill for California was passed first, then northerners would refuse to pass the other parts of the compromise. So, southerners wanted to include all parts in one bill. Our program was written by Frank Beardsley. The narrators were Warren Scheer and Sarah Long. Transcripts, MP3s and podcasts of our programs are online, along with historical images, at www.unsv.com. Join us again next week for THE MAKING OF A NATION -- an American history series in VOA Special English. the civil war was on its way to the ripe while the two sides--- the noth and south--- couldn't come to agreement on the issue of slavery. so it seems that something that is against one's basic intestests could not come to comprise, never, and then the Civil War broke out and then the "goen with the wind" produced.